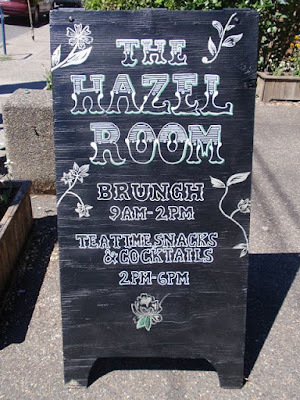 The Hazel Room is a brunch and tea room located in Portland's Hawthorne District on SE Hawthorne Boulevard between SE 32nd Place and SE 33rd Avenue. Parking is relatively easy to find and cyclists will find a dedicated spaced for bike parking. 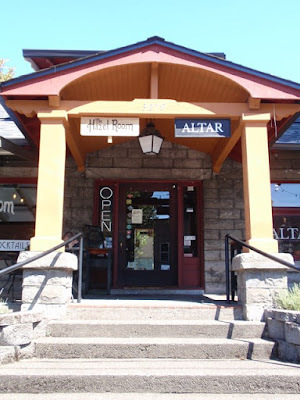 In a neighborhood filled with independent businesses, there is plenty to explore before or after your meal. Those concerned with accessibility should be mindful of the steps up to the entrance. There is a step up into the dining area, as well. If there is a wait before seating, visitors might consider visiting Altar, a handmade fashion boutique located across from the dining area. Seating in the Hazel Room is available at tables or at the bar. 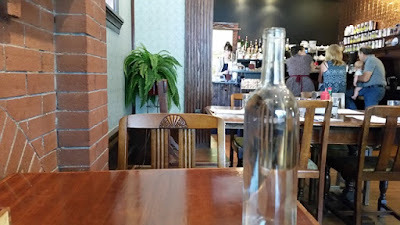 The space is well lit and the decor ranges from wood and brick to embossed copper. After guests seat themselves, a bottle of fresh water will be delivered to the table. The menu offers a broad selection of brunch items, many of which are are English or English-inspired. 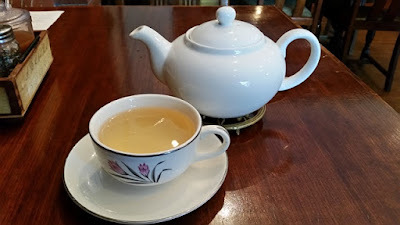 After brunch, cocktails and appetizers that pair well with tea are available. The tea menu is surprisingly extensive and includes chai, black tea, green tea, oolong, herbals, matcha, puerh, and kombucha. Tea is served in a generously large-sized pot and my selection for this visit was the Charcoal Roasted Dong Ding. 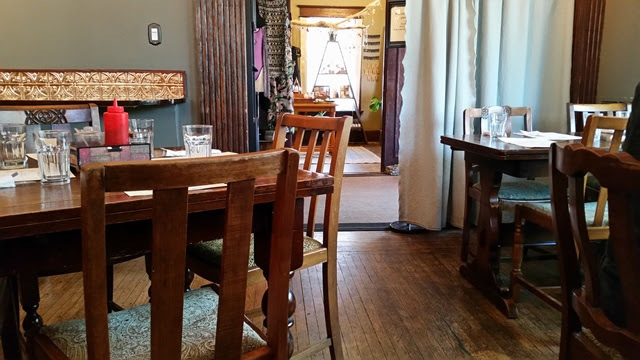 Portland is recognized for its use of fresh, locally-sourced food and the Hazel Room is no exception. 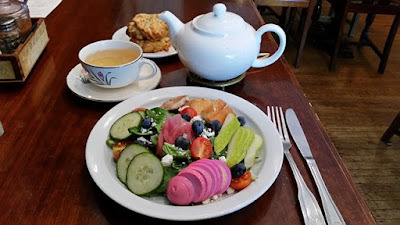 I ordered the Ploughman Plate which featured Northwest smoked trout, tea-pickled eggs (not to be mistaken for Chinese tea eggs), chevre, seasonal fruits and vegetables, and a cheddar biscuit made from scratch. Everything was delicious! 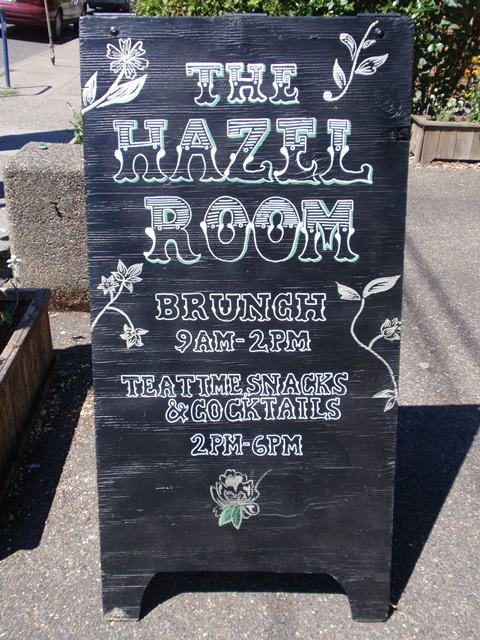 The Hazel Room does not take reservations. However, there may be a wait list on weekends.